Killer weekend, dude. Marathons, 1/2 marathons, and 5Ks out the ears! 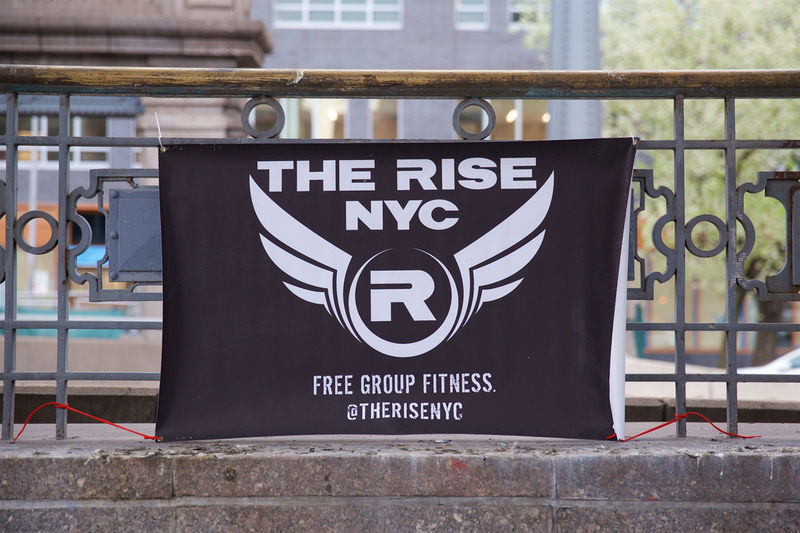 The Rise was representing in both DC and NY. Props to everybody who ran, scored a PR, or accomplished something they never thought possible. Hard work pays off! Rest those legs, have a drink, but get back in the routine of moving your body soon. This morning was incredible! Cold? No, that’s a curse word. The weather was “motivational with a chance of sweaty.” Monday newbies Sarah (sp? ), Erica, and Agi tabata’d all over Washington Square Park. Chris is 2/2 on Mondays which means the man is undefeated! And did you see Lopez rocked a green tutu in his Leprechaun quest for fitness gold? FOMO much? Here’s what we’ve got coming up this week.